Have you kept your New Year’s Resolution? Research indicates that 88 percent of people usually fail to keep a new resolution. In my experience as a coach, it’s most often a result of not having established consistent routines that align with the resolution. I prefer the word intention rather than resolution. Whatever your word choice, it usually requires a change in behavior. At West Chester University, one of the courses I teach is Change Theory. I’ll spare you the tuition, cut through all the jargon and make this simple. To create lasting change, it helps to establish specific behaviors that you do at the same time every day related to the desired change. Replace thought with routine. Our willpower is finite, and as the day goes on our willpower wanes. The answer- make more of your desired behavior automatic by establishing routines. Remember, we can train our brain. For example, if my intention is to eat healthier and exercise, I never think about whether I’m going to exercise. It’s already decided. It’s become a ritual. Every morning as I roll out of bed, my feet literally connect with my sneakers that are strategically placed by my bedside. It’s simply not an option. I just do it (NIKE was on to something). Same idea with breakfast- a healthy smoothie is my staple. No contemplating a bagel or a chocolate jimmy doughnut. 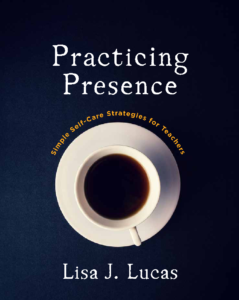 If you’d like to make a change that lasts, join me June 23 and 24 at The Inn at Grace Winery for the Practicing Presence Summer Self-Care Retreat. Make a plan that will stick. Your plan is a map that will guide you on this journey of change. You can even think of it as an adventure. When making your plan, be specific. Want to exercise more? Detail the time of day when you can take walks and how long you’ll walk. Write everything down and post your plan where you’ll most often see it as a reminder. Start small. After you’ve identified a realistic goal, break down your goal into small, manageable steps that are specifically defined and can be measured. Involve another person. Whether it be a friend, co-worker or family member, or coach, someone else on your journey will keep you motivated and accountable. Ask for support. Accepting help from those who care about you and will listen strengthens your resilience and commitment. This is where a coach can be a great resource until you have solidified your routine. 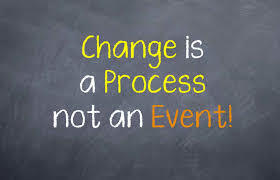 My approach to coaching is: Evaluate Current Status-Change Direction-Take Action! I help clients go beyond what they do, to who they are. How do I do this? I inspire creativity, expand possibilities, and most important- listen deeply. I believe the client really has all the answers, but needs to make the space to explore what’s possible. Coaching is about empowering people to generate their own answers. My role as a coach is to help you discover possibilities that aren’t always obvious to yourself. Curious, contact me.